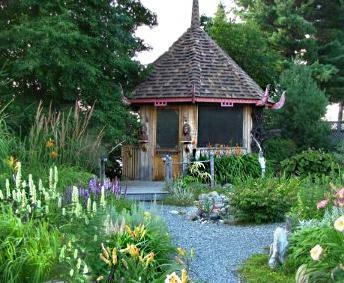 Located on the edge of lac Blouin and blooming under the watchful eyes of dragons, these singular gardens were designed by sculpting artists deeply fond of gardening, bonsai and poetry. As an invitation to relaxation and meditation, the oriental style landscaping unfolds through various themes along a path featuring poems, a cascade, streams and stone bridges. An art boutique proposes unique works of art by Jacques Pelletier and Francyne Plante. Pricing: Activities and special rates for groups (10 people and over) upon reservation.